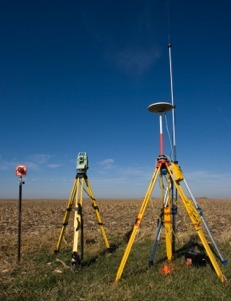 We are specializing in Wireless Communications surveys. What this means is that we simply provide our clients (various Architects, Engineers, and ALL the Major wireless companies) with a topographic map, detailing the boundary of the property as well as the layout of the land and/or buildings where they are planning to build. In most cases, this also includes a certification letter with geodetic coordinates and elevations conforming to federal regulations of the 1-A or 2-C standards. Not all surveys are created equal. a knowledgeable staff that can help with any questions or issues that may arrive throughout the planning/design process. This kind of service is what has separated us from other, bigger and less personable survey companies that are available. We are focused on the needs of the cellular industry and that is reflected in the quality of our product and reviews from our past and current clients.